We seed new fund raising techniques that simultaneously build research funding momentum and bring like minded organizations together in a highly constructive manner. “The Milburn Foundation has supported grants that advance research for aggressive forms of breast cancer such as Inflammatory and Triple Negative Breast Cancer, and is blazing trails with matching gift campaigns. We are fortunate to work with a team that works with us to help find cures and treatments for women facing breast cancer." [Left] Christina Alford (SVP Susan G. Komen) and Bryon Davis (Milburn Foundation) at Komen Partner Summit - NYC. 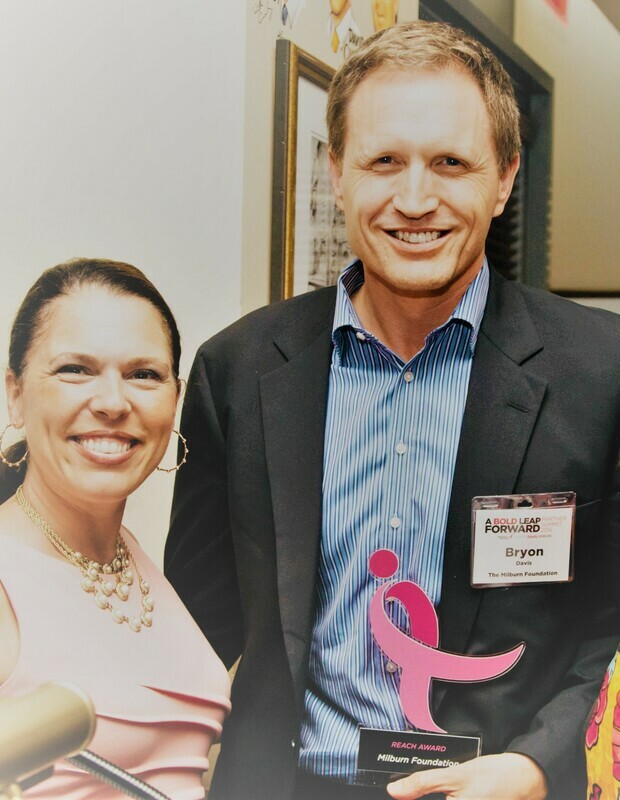 Bryon holding the Komen Reach Award, presented to the Milburn Foundation for excellence in partnership and fundraising innovation. 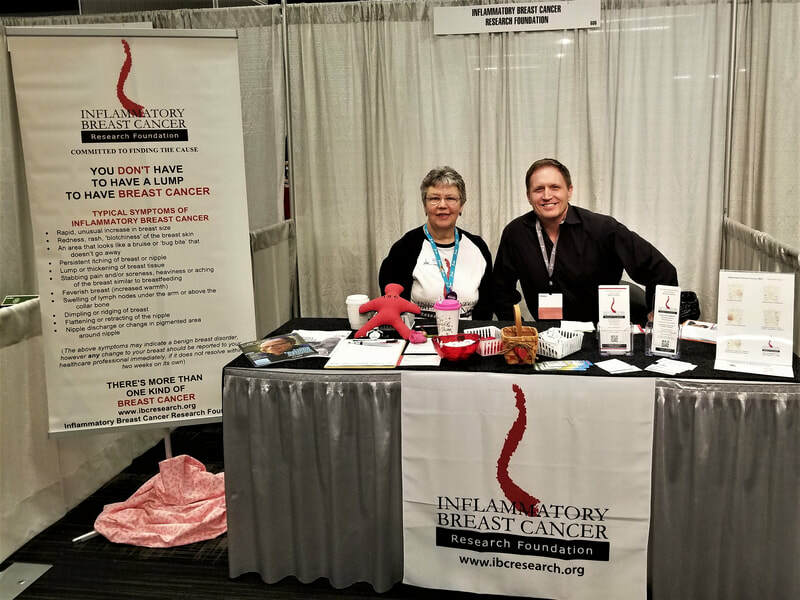 ​[Right] Ginny Mason (IBCRF) and Bryon Davis (Milburn Foundation) at the YSC Conference - Austin TX.